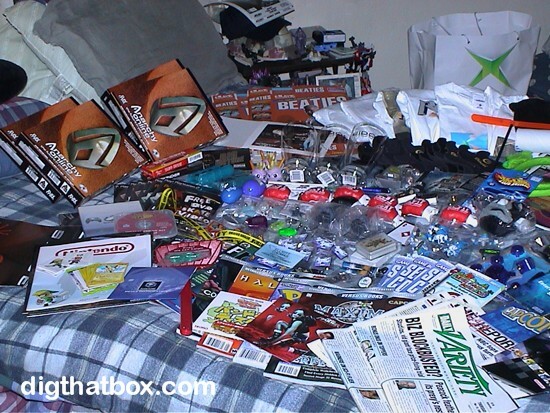 This year marks my 10th Anniversary with the E3 Expo. So many years, so many incredible memories. It seems like only yesterday that I was waiting in line to meet the infamous Mr. T at the 2002 E3 Expo. Mr T was on hand to promote a new video game based on the Rocky films. 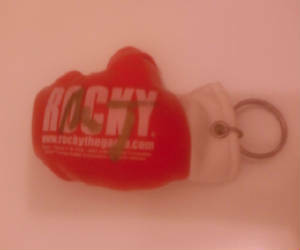 Appropriately titled "Rocky" the game was created by Rage Software. As you might expect players control the main character Rocky as he battles his way through events featured in the film series. Of course no one could forget Mr T in his role as the brutal Clubber Lang in Rocky 3. Mr T has a long history of playing on screen tough guys, but as I would soon learn, this image was only a facade. Deep inside all those gold chains beats a heart of pure gold. Finally it was my turn to approach Mr T. Honestly, for a moment I was a bit nervous. I don't know why, I live in Hollywood and I see celebrities all the time. Its no big deal. 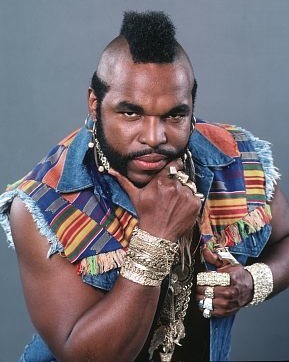 There was something about Mr T that made me feel like a kid again, and I think he could sense my apprehension. So he looked at me, smiled and gave me a warm greeting. I instantly felt at ease. We talked for a moment, I told him how glad I was to meet him and he smiled. I then mentioned that my partner Harold was somewhere else in the arena. I politely asked if I could have a second autographed Boxing glove for my good friend. Mr T looked at my badge, read my name and said "Elliott I'm gonna give you seven!" Seven is his lucky number, its also an important number in his deeply held Christian beliefs, and I also just happen to have seven letters in my first name. He took this as a good omen and he began to sign the gloves. With each glove he signed he counted out-loud. "ONE, TWO, THREE..." Everyone was looking at us. It was an amazingly funny moment. Mr T is a truly caring person who goes far out of his way to please his fans. Finally Mr T finished signing the seven boxing gloves. I was speechless. He asked me if I wanted a picture, I did, but unfortunately my camera had quit on me earlier in the show. Never one to miss a beat, Mr T said "That's OK Elliott, let me give you a big hug." He came around from his table and gave me a big sweaty man hug! Mr T had worked up quite a sweat entertaining his many fans. Getting a hug from Mr T was a beautiful and completely surreal moment. I thanked him for all his kindness. He honestly made me feel like a million bucks. Mr T is one man who really appreciates his fans. He is truly deserving of his fame. Afterwards I stepped off the autograph stage and went behind the scenes of the Rage Software booth. There I met Mrs T. That's right Mr T's wife! She is as kind and as gracious as Mr T himself. I told her to thank Mr T again for his massive kindness and generosity. She smiled and said something like "that's just the way he is." She couldn't have been more right. I wound up keeping one of the boxing gloves for myself, the rest I gave to friends and family. Everyone who received a signed boxing glove was ecstatic! This was yet another way Mr T would share his love with the world. They all have their gloves to this very day. Here's an image of my own. Its a cherished souvenir from time at the E3 Expo. PHOTO 2: All Seven Mr T Boxing Gloves at the center of my E3 loot!